The price is right at a fast food restaurant. You can always enjoy fast and quick service for many busy people in this world today. 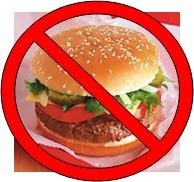 However, there are some things to consider before going to a fast food restaurant. 1) They use the cheapest food to make to products. You might have no clue what parts are in the ground beef and chicken. What are you really getting off the dollar menu? 2) Everything is precooked and just warmed up. Most of the food is frozen and just put into a microwave. This allows the restaurants to worry less on cross contamination and teaching the employees on proper cooking mythology. 3) The employees that work there have no knowledge of food preparation and food borne illness. They do not provide the employees knowledge and tools to do the job correctly. 4) There is a lack of training on how to do the job correctly in the establishment. They do not invest the time to train the employees because it cost too much and the turnover rate is too high. 5) Most employees are part time hire and they get paid minimum wage. They do not care about the job or the people. For many people it is their first job. 6) There is a lack of supervision in the restaurant and some supervisors and managers lack the experience in food service. Numerous places promote employees to supervisor to reduce cost. Which is great if they are properly trained. 7) The tables are never sanitized correctly in the dining room. Most of the time you just throw away your tray and someone comes in and sits there without the table being cleaned. Poor sanitation may lead to food borne illness. 8) There might be slim in the ice machine. This has been an issue for many establishments. 9) There are numerous times simply orders are not correct. Check your order before leaving the restaurant. 10) The fried Chicken and French Fries have been sitting in the heat lamp for hours. Since these items take a long time to cook they may cook it in advance. So if the business is slow then you might get some stale chicken.